M&M Dedicated Contracts helps shippers in many different ways by giving a commitment to specific amounts of volume and equipment. 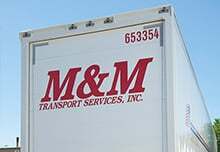 M&M Transport offers truckload services throughout the U.S. utilizing 53 ft dry vans moving freight reliably and safely. 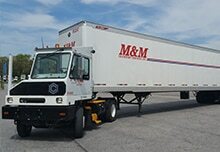 M&M Transport offers yard services throughout the USA for a wide range of applications. 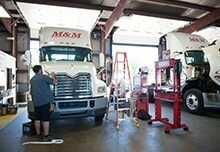 M&M Transport provides contract maintenance to it’s dedicated customers to help them keep their company owned equipment in good running order. 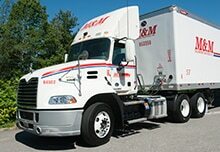 M&M transport has invested in the latest technology available utilizing satellite communications, and the latest dispatch software for real time communications. 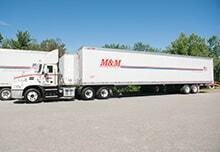 M&M Transport has over 1500 trailers in its system utilizing SkyBitz technology. As always… please let us know if there is anything else we could be doing to serve you better! 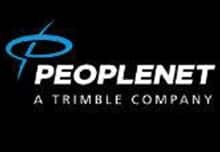 Thank you for your business and for your support! !